Fully furnished pool home. Close to shopping and many restaurants. Located on a Gulf access canal, just minutes to the River. Ideal for Families, vivid Boaters or just vacationers relaxing. 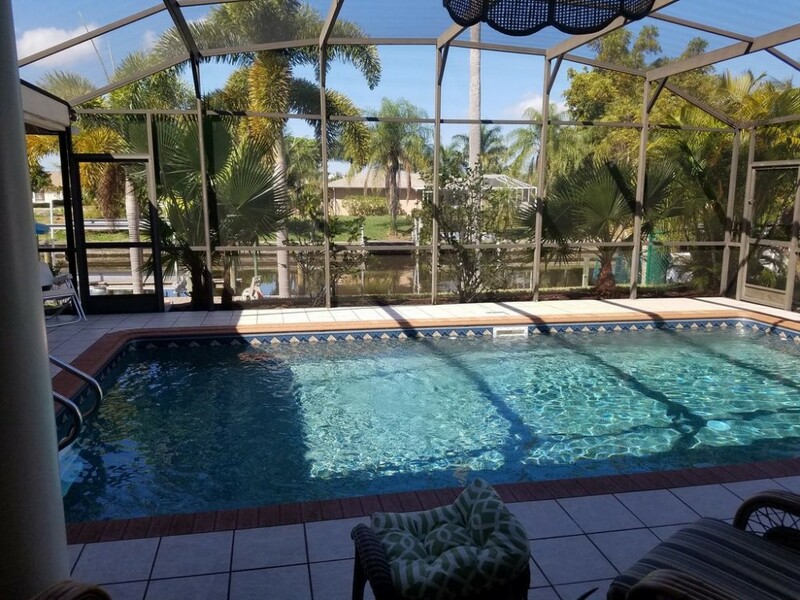 4 Bedrooms, 2 Bathrooms, 2 living rooms, a dining room, large lanai with beautiful view over the solar-heated swimming pool, and the Gulf Access Canals. The house features 3 TV with local channels capability, high speed Internet and WiFi. In-Home Laundry-room with washer & dryer. Bed sheets and Towels available. Bring your boat or rent one locally.